Economist David McWilliams’ new documentary on Ireland’s economy. On TV3 Virgin Media One at 10pm. Posted in Misc and tagged Back to the Future, David McWilliams, Terry Prone, TV3, Virgin Media One at 12:43 pm on August 30, 2018 by Bodger. 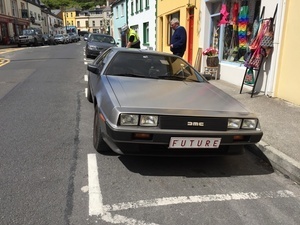 Posted in Misc and tagged Back to the Future, Flux Capacitor at 3:49 pm on March 7, 2018 by Bodger. Posted in Misc and tagged Back to the Future, cars at 2:01 pm on August 23, 2016 by Broadsheet. 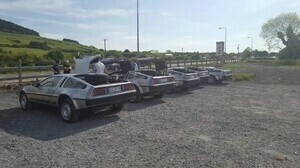 Here’s another picture of five DeLoreans which visited Strandhill yesterday and left this morning. 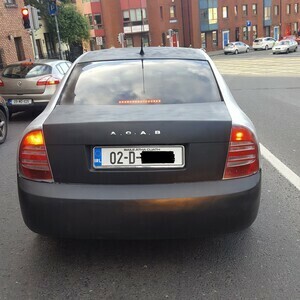 They’re on a tour of Ireland I think. Heading North today. Posted in Misc and tagged Back to the Future, De Lorean at 12:38 pm on May 26, 2016 by Broadsheet. In the name of Back to the Future Day , one happy Dublin fan :) My love began at the tender age of 7 when I went to see BTTF in Dublin for my First Communion – the rest is history as they say ;) Over the most recent years I got to meet most of the actors – most notably Michael J Fox this past summer after 30 years! 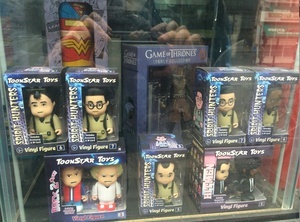 Name those BTFF characters anyone? Posted in Misc and tagged Back to the Future at 4:58 pm on October 21, 2015 by Broadsheet. 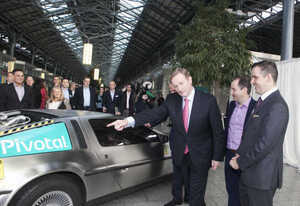 The Taoiseach with senior Pivotal executives and the ‘right wing’ of a DeLorean at the announcement of 130 jobs to be created by the cloud-based data company. Top from left: Minister for Jobs, Enterprise and Innovation Richard Bruton, Enda Kenny, Pivotal General Manager Ireland Kevin Flanagan, and CEO at IDA Ireland Martin Shanahan. 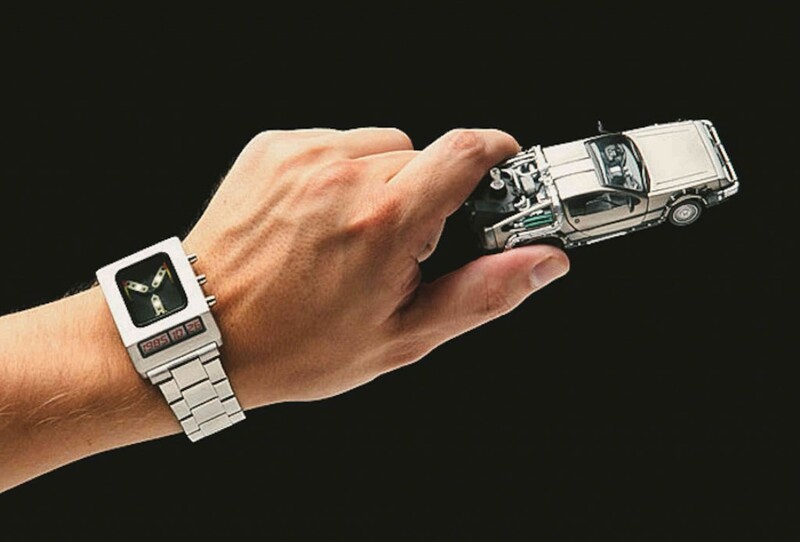 Posted in Misc and tagged Back to the Future at 2:04 pm on October 21, 2015 by Broadsheet. 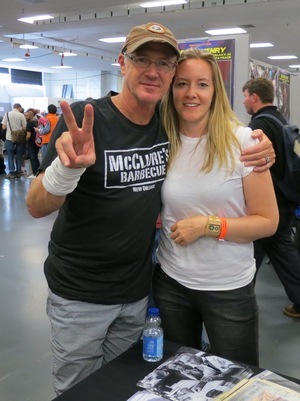 Super fans Darren McKenna and Balsha Raich of [Dublin-based production company] The Ligthroom wanted to create something to celebrate Back to the Future day. 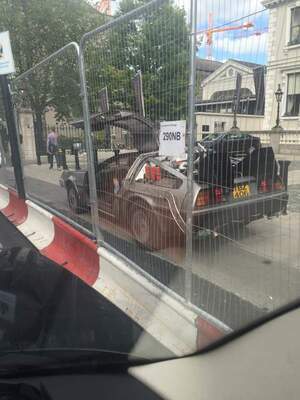 With only 8 days and zero budget – their golden asset was a Delorean car at their disposal for 6 hours. …We follow two Dublin lads with a love for the past. 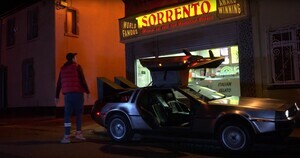 They come across a Delorean and end up time travelling to Dublin 1985 where they accidentally make a few changes to their local chipper. 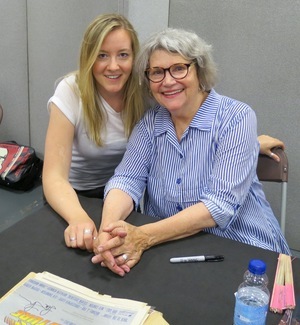 When they finally return to the present; October 21st 2015 – things seem to have changed…. 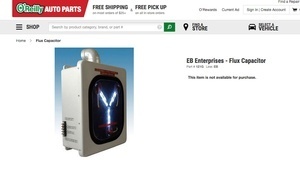 Posted in Misc and tagged Back to the Future at 9:48 am on October 21, 2015 by Broadsheet. No call out fee unlike its competitor. Dame Street, Dublin, this afternoon. Posted in Misc and tagged Back to the Future, Ghostbusters, Knock-offs, Pulp Fiction at 2:10 pm on July 24, 2015 by Broadsheet. Inspired by the 2015 denims worn by Marty McFly in Back to the Future 2 (1989). And about to be Made in Ireland with YOUR help! I’ve been working for the past few months on making a pair of inside out jeans – and just launched a kickstarter campaign… I wonder if you could help get the ball rolling on it by giving it a little push? Posted in Misc and tagged Back to the Future, kickstarter at 4:31 pm on May 28, 2015 by John Moynes. 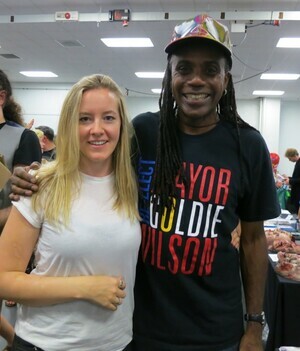 Posted in Misc and tagged Back to the Future at 3:08 pm on November 26, 2014 by Aaron McAllorum.